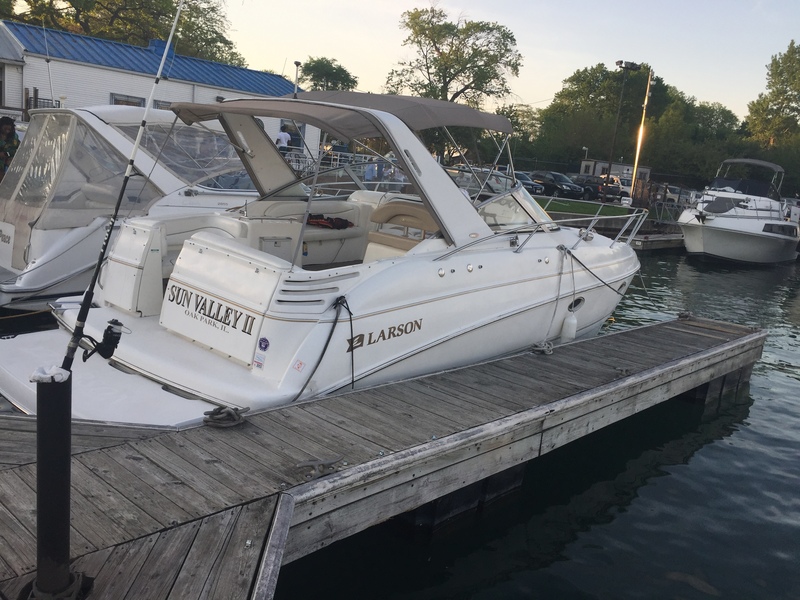 Rental periods 4 hrs and 8 hrs If Lake Michigan boating tops your short list, this 33' Larson Cabrio cruiser will gladly deliver you to your favorite playground. Invite up to 10 friends to join you, and gather at the boat's convenient Chicago dock. After you hop aboard this boat rental, decide whether you'll do some sunbathing on the roomy bow or relax in the cockpit's shade. Consider jumping off the swim/dive platform into the lake for a swim, Of course, if you're boating during the chilly spring and fall months, the removable cockpit enclosure will keep you warm. After you fire up the boat's twin inboard/outboard engines, head into the channel and choose the day's destination. When you arrive, turn on the generator and slip into the air-conditioned cabin, where the galley includes a refrigerator and freezer. 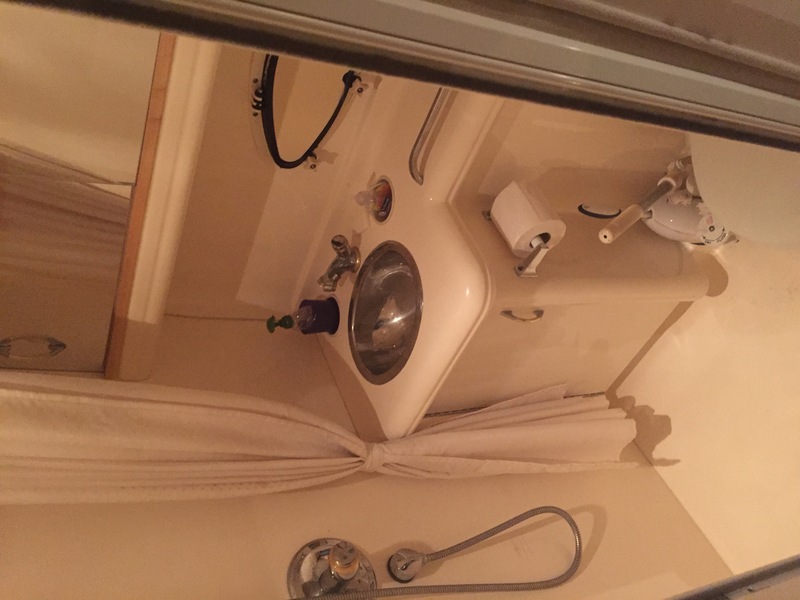 Crank up some tunes on the stereo/iPod, and freshen up in the private bathroom. 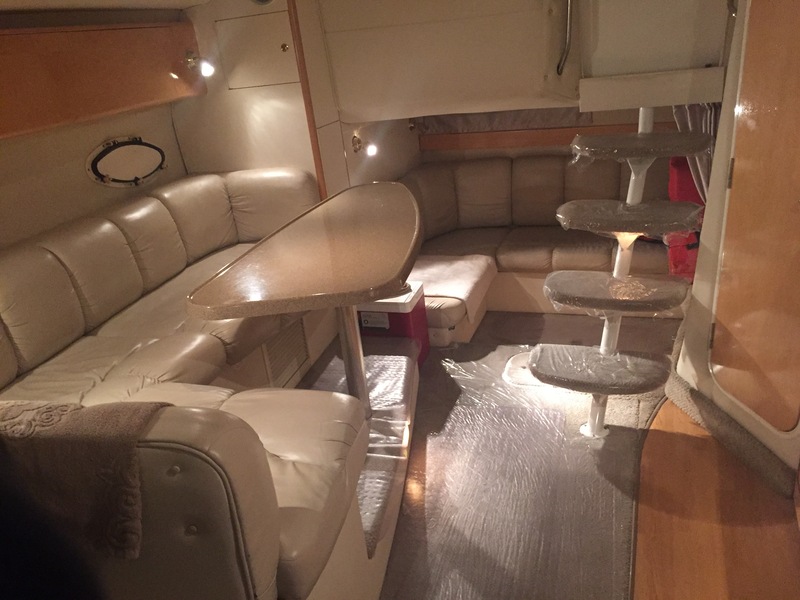 If you opt for an overnight boat rental in Chicago, note that this 33' Larson Cabrio cruiser features sleeping space for 6 guests. Please note that smoking is only permitted outside the boat rental. During your return trip, squeeze in some Chicago River sightseeing, taking in the city's famous architecture before you arrive at the dock. Sound good? 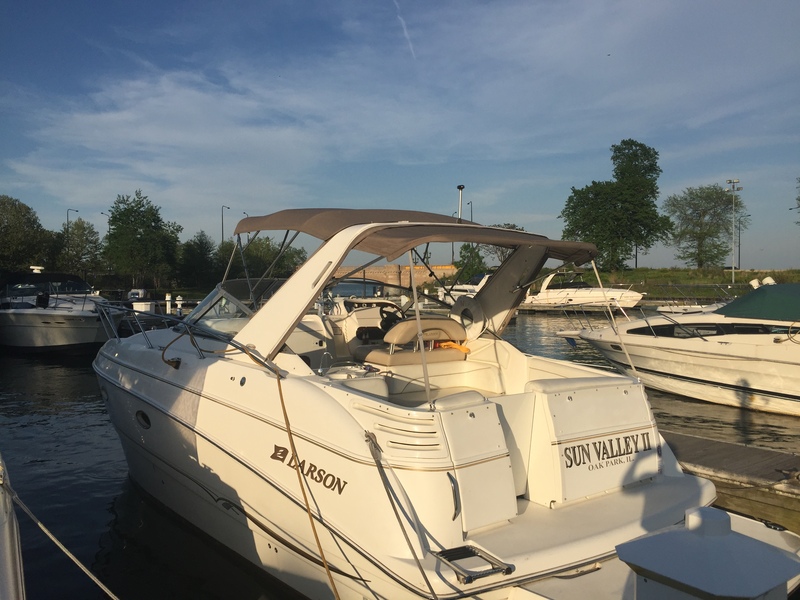 Put your boating plans into action by renting this top-notch boat in Chicago today! Requirements: Sit back relax and enjoy your day. 10 PASSENGER MAXIMUM, NO EXCEPTIONS! NO SMOKING / NO PETS /NO RED WINE ALL PRICES DO NOT INCLUDE U.S. Coast Guard Certified Captain and 1 crew member. If you have a qualified Captain with a USCG Master 50 ton license, first aid certified, cpr/aed certified, and one million dollars liability insurance, then he/she is eligible to captain the boat after a 45 minute sea trial check. Otherwise we can provide a list of captains that we know are qualified, insured, and are familiar with our vessels. 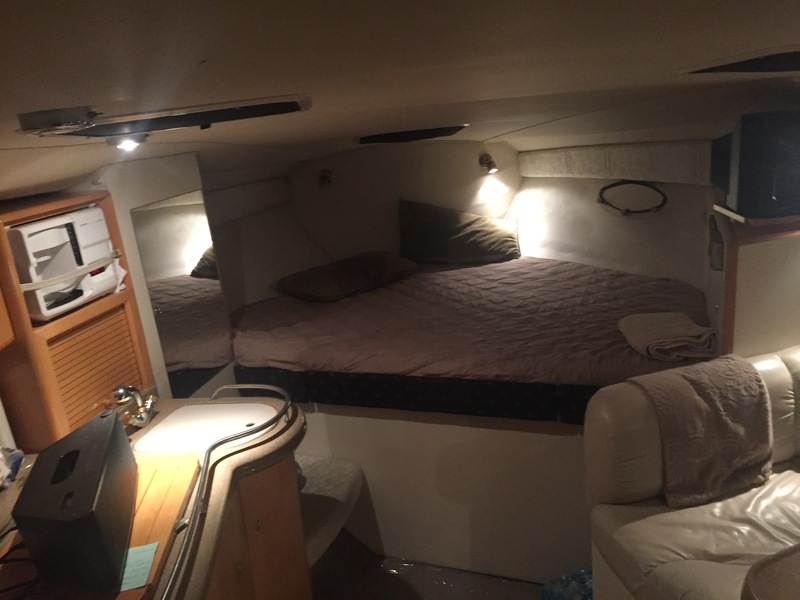 Captain and crew combined rates are determined by the Captain of your Choose, and you will pay them directly. Cancellation Policy:Any reservation can be canceled 5 days or more prior to the rental start time in local time (LST) for a full refund less applicable Service Fees. Cancellations within five (5) days before the start of a rental in local time (LST) are non-refundable.